Welcome to our Code Challenge #3. 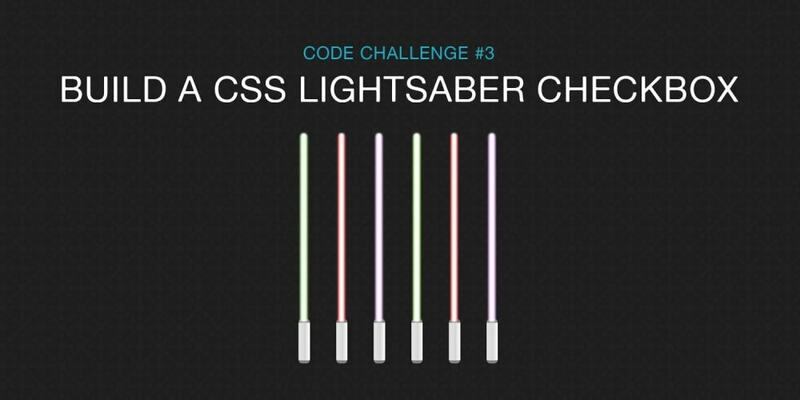 Way back when about five years ago when we started Scotch.io, one of our very first articles was to create lightsabers using plain CSS. Let&apos;s bring that back and see how we can build out the same thing in this week&apos;s code challenge. The challenge is to rebuild this lightsaber checkbox. Go ahead and use CodePen as your code playground and be sure to share the CodePen and what you learned in the comments. Join us on the Slack group in the #codechallenge channel. Post your solutions in the comments. Solution video and code will be posted on Monday. Happy coding!